Kubica finally gets the chance to follow up his 2010 season this year. But it's coming eight years later than it should have, in very different circumstances, and with none of the certainty from before. Such is the extraordinary tale of the 34-year-old Pole and his return to the F1 grid - which by the time the Australian Grand Prix begins will be little over eight years after the rally accident that almost cost him his right arm, and could have taken his life - we might therefore even consider his 2019 season to be the debut of a different person entirely. But it's still Kubica, obviously. And he still has the same steely focus and dedication that took him to such extraordinary heights in his first grand prix career. But F1's not the same as it was almost a decade ago and neither is Kubica. Those are the two chief reasons we cannot, and must not, expect Kubica to be the driver he was in 2010. It's why the man himself struggles to answer a question of questions: is he forgetting the first part of his career, or effectively judging himself based on his experience as a grand prix winner and starter of 76 grands prix? "Of course, this is a good question," Kubica said when this was put to him last November in Abu Dhabi. "I have quite a lot of experience with racing, in F1, so I know what it takes to be a top F1 driver. I'm not scared of it. I know that it requires a lot of work and dedication and I'm ready for it. "In 2019, we all are starting from zero, so I'm not afraid that I have been away for eight years. I'm looking forward, I know what it takes and what I have to do - if I do my job well, I'm sure everybody will be happy." 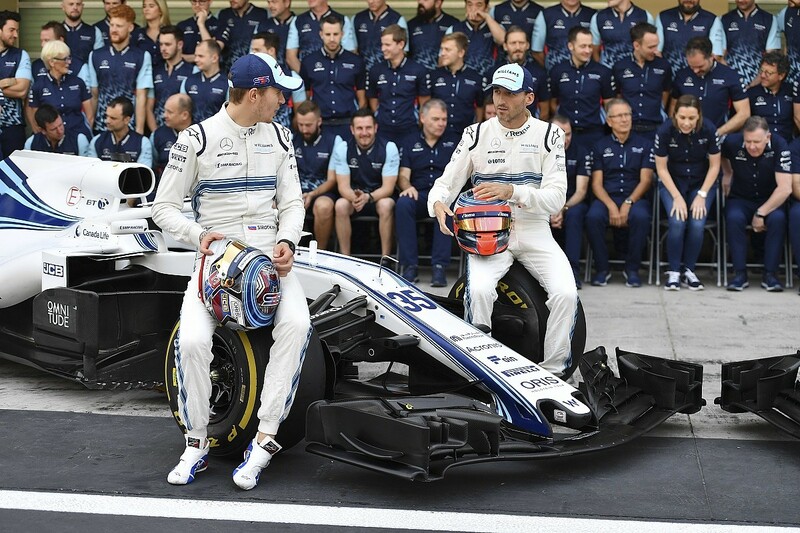 The Kubica of 2010 would be posed few problems by a new driver for a team-mate, but now the momentum within Williams is with George Russell - the team's real rookie. As the reigning Formula 2 champion and a Mercedes protege, Russell is an exciting talent with a lot to prove and a lot of career momentum behind him. Chiefly, what Kubica has in his corner are past glories, because even his previous grand prix racing experience is of limited assistance. That's not meant to disrespect Kubica or everything he achieved from 2006 to '10, it's just a marker of how different the modern, V6 turbo-hybrid, ultra-high-downforce F1 is to what Kubica knew before. It's also considerate of how little racing Kubica has done while recovering from his injuries. Yes, he won the WRC2 title, but his recent circuit-racing experience is minimal - just a couple of endurance outings in GT machinery. Anybody who had eight years away from full-time racing would lose sharpness. Anybody who tried to enter F1 with that little recent experience would not be taken seriously. Thus, Kubica occupies a weird limbo. "I'm looking forward to finding the natural way of driving that I had in the past," he says, "when you are in the car often, racing every 10 days or so. Whichever sport you are in, when you are on top, everything should come as naturally as possible. You don't look for it. "This year , I have been a test driver and when I'm driving the car I have to keep in mind that I have to give quality information and feedback, and that I'm able to deliver good pace and not risk anything. "I have to change this approach a bit because now I have to work more for a team, as I was, but now also for myself. I need to focus on different things, which might be useful when I am racing. It's a bit of a different approach and that's why I'm looking forward to testing. I want to work on this approach." 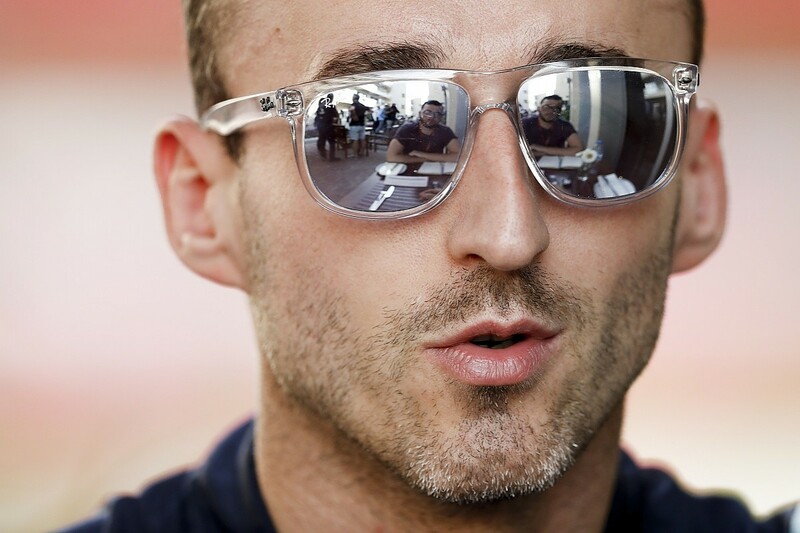 Kubica knows it's not a given that he can just slot into F1 again as if he's not been away. His speed, awareness and knowledge have dipped from being out of action for so long. That is a fact, especially when you factor in how much Kubica has had to adjust to his injuries, such as learning to be left-handed and the changes to his driving style that come with that. All he's had to evaluate his current ability as an F1 driver is a few FP1 outings and a few days of testing. Kubica logged 1986km of testing with Williams in 2018, adding to 1333km across his Abu Dhabi and Hungary '17 outings with Williams and Renault respectively. That's a grand total of 3319km of driving in modern F1 machinery. It's fractionally higher than Russell's count (2750km of testing overall and 270km from Friday FP1 outings in '17), but to put Kubica's testing experience into the context of his 'first' F1 career, he had racked up 21,105km of racing laps alone. When you consider the massive difference between the cars Kubica drove from 2006 to '10, and those in the current era, the relevance of his experience is dimmed somewhat. Small wonder Kubica himself admits that there are "many things" he has not been able to learn in his development role at Williams. "When you are in F1, you have to be on a high level all the time in every single area," he says. "For example, I have never done a race simulation. I have done some long runs, but I haven't been able to repeat it straight away and adapt it. You only have one lap. "There are also things which will come only by racing, because even if you do a race simulation in the test it isn't the same. I don't know what the tyres will be like, or how much downforce I will lose when I follow someone." One of the main doubts over Kubica is whether he will be an upgrade on the man he has effectively replaced at Williams: Sergey Sirotkin. As a race winner in GP2 and Formula Renault 3.5, Sirotkin is a perfectly decent racing driver. 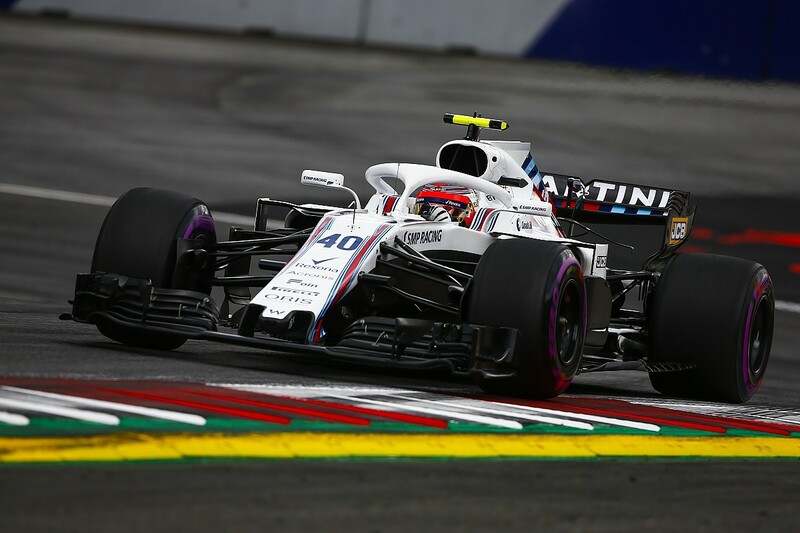 He acquitted himself well in his rookie F1 season, outqualifying second-year driver Lance Stroll more often than not and comparing well enough in race trim, too. Sirotkin would have probably earned a second season in most other years, but hesitation on Williams's side plus Sirotkin's own backers being wary of spending a good chunk of money just to be at the back of the grid again put paid to that, and opened the door to Kubica's F1 return. It would be wrong to pretend that Kubica is back in F1 on talent alone. He has drummed up strong backing from Poland, understood to be more than €10million, and in return PKN Orlen will get branding on Williams's 2019 car. By that logic he is no less a pay driver than Sirotkin was last year - Kubica is someone Williams expects to be good, but whose money is a necessary accompaniment. 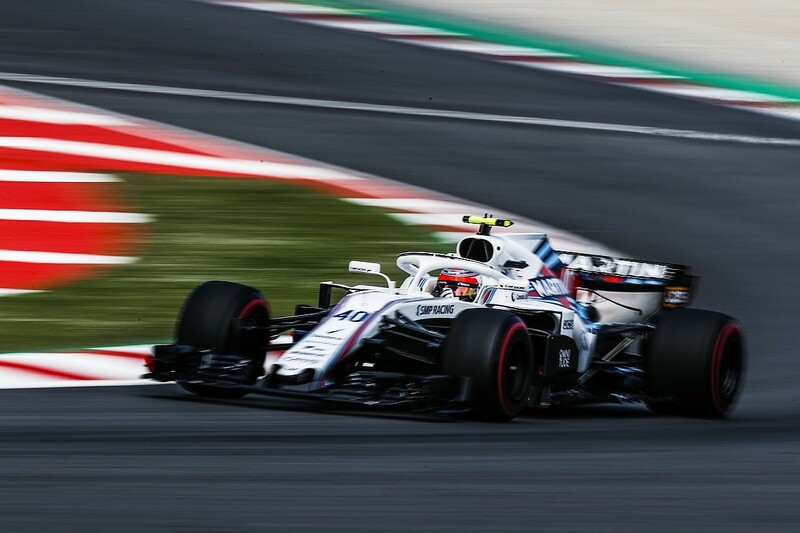 Kubica's determination and attention to detail will be a major boost to Williams, as will his knowledge and understanding of what it takes to produce at the very top in F1. But they are only finite advantages and Kubica will need to back that up with on-track performances too. Not that he is particularly bothered about how he gets judged externally. "Honestly, I don't care," he says. "All I care about is my job and what I am doing. There will always be someone judging you and in different ways. In Australia, I am more the rookie driver than the one who has already done five seasons. Because F1 has changed so much. "What helps me is that I lived this sport on such a high level, so I experienced what it means to be an F1 driver and what it means to race against the top drivers. I hope this experience will help me to achieve the levels that I would like to and this is the goal." How good Kubica will be this year is almost impossible to answer, but arguably he does not need to be as good as he was before. He was always considered world champion material, and even if he is only back to a fraction below that level that would still put him ahead of most drivers on the grid. Not all 20 F1 drivers are champions in the making. Therefore, the question should not be 'will Kubica be as good as before?' but rather 'how close will Kubica be to that level?'. That is a better reflection of what we can expect, without letting Kubica off the hook entirely but holding him to a fair standard. This is elite sport after all, so Kubica only needs to be a small percentage away from his 2010 level to start looking a little ordinary. That does not give him much room to hide at all - but he would not have it any other way.